Play therapy is often the treatment of choice for children roughly aged 3 – 11. For some ‘tweens, it can be a toss-up between play therapy and talking therapy, and may move back and forth between them. For children, play can be a language of communication and self-expression. Things that they don’t know how to convey in words can be put out in clear view with toys, drawings, and play interactions. 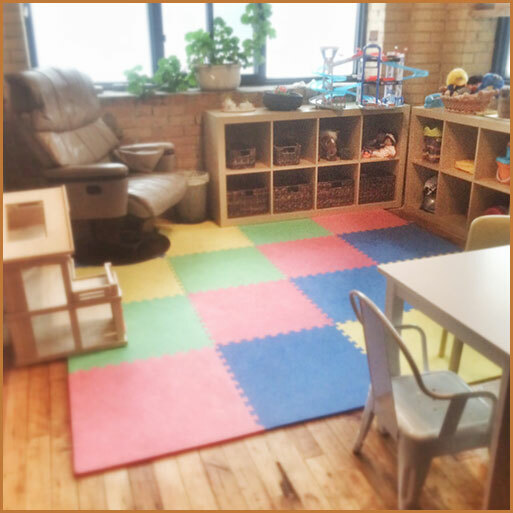 Working with materials such as crayons, dolls, cars, monsters, etc., and sometimes with specific toys selected for that particular child, and sharing the play with the therapist, a child can experience a sense of being in it together, of being understood and supported. The child can act out what they don’t know how to say and can develop a feeling of mastery over what is bothersome via the mastery that they enact over the toys and play. Their choice of materials and how they use them conveys what the child is experiencing and feeling. The way that they do or don’t invite the therapist into their play speaks volumes about how they feel treated by others and how they want to interact with others outside the playroom. Children can use the play to work through inner feelings and anxieties. As therapist, I take my lead from the child. Observing the play provides important insight into themes and feelings that may preoccupy the child and may underlie behavioural problems or concerns. It reveals the inner life of the child. Play materials are introduced related to known areas of history, e. g., a baby doll for a child who has a new sibling, a toy dog for a child who was bitten, mother and father figures for a child going through a divorce. This allows the child to reenact any trauma and work out their feelings about it, to move beyond feelings of powerlessness and helplessness and gain a feeling of some control and competence in their own life. For younger children, insights are shared with parents, who may be invited in to participate, or given their own periodic sessions with me to talk about our observations of the child and progress or areas of trouble. For older children, there must be a balance between parental involvement and the child’s privacy, which is worked out for each individual case. Sessions may be few in number or ongoing long term, depending.